Around the world approximately 3 to 5 billion tons of ballast water is transferred via ships each year, introducing aquatic invasive species into new environment, posing serious threats to maritime ecosystems, aquatic economy and human health. 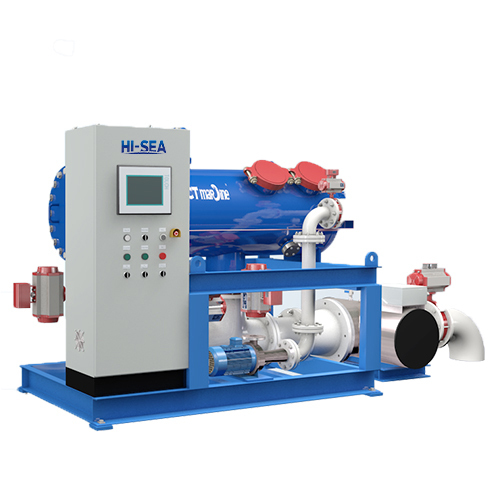 The transfer of ballast water cannot be avoided since ballast water is absolutely essential to the safe and efficient operation of modern shipping. But the transportation of non-native species can be eliminated by means of appropriate treatment of ballast water. The International Maritime Organization (IMO) has adapted the International Convention for the Control and Management of Ship’s Ballast Water and Sediments, 2004, which mandates all ships that carry ballast water install treatment system by the required year depending on their ballast tank capacity and the year being built.